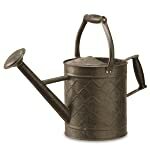 All watering cans are the same, right? 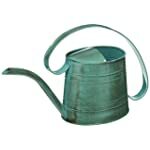 See if you still feel that way after getting a look at Robert Allen's Danbury Teal and Copper Metal Watering Can. 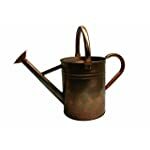 A great choice for watering your plants and flowers indoors and outdoors, this watering can holds up to a half-gallon of water, eliminating constant trips to the hose or sink. 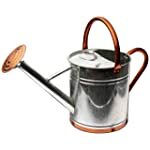 With a special handle design, the can is easy and comfortable to carry and pour, providing your delicate plants with an equally delicate shower. 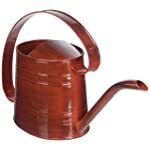 The watering can is also built to last, sporting not one but three layers of powder coat paint: a base coat, a texture coat and a glazed finish coat. 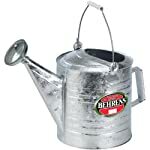 And did we mention the can looks good enough to be used as a garden decoration? 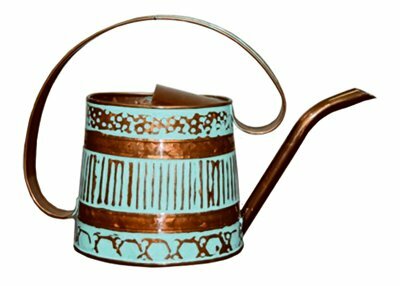 With a bold teal and copper design and vintage look, you'll be more than happy to water your indoor or outdoor garden in style and convenient utility. 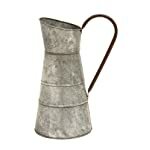 Still think all watering cans are the same? 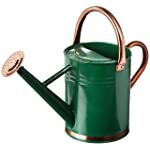 Yeah, we didn't think so.